If you need this information in larger text size or another language, please contact the Principal. If you would like to visit our office, or if there is any way we can help you access our services more easily, for example if you have any special needs, please let us know as soon as you can: we are here to help. If physical access is a problem, for example, we can come and meet you in a location better suited to your needs. keeping us informed of any changes to your contact details whilst you are a client, as we may need to contact you urgently. Please note that we do not provide valuation, terms of mortgage, tax or accountancy advice, or other financial arrangements. 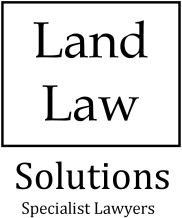 Nor do we advise on the condition of property or on any development finance obligations or planning aspect of your case, and we will expect your valuer, surveyor, tax adviser and accountant respectively to deal with all issues relating to such matters arising in respect of your instructions and your matters generally. As with most other firms of solicitors, we record time in minimum units of 6 minutes. All time spent on your matter is recorded in this way and can include the making or receiving of telephone calls, writing or reading letters and e-mails, drafting, reading or checking documents, waiting time, travel or attending meetings with you or others involved in the matter. An inspection of the file does not always reflect the actual time recorded on your behalf. This is because time recorded includes time spent travelling and waiting or considering preparing and reviewing letters and documents. Time spent in this way may not be evidenced from the file. This is particularly true of letters relating to complex cases which may require significant time in researching the position prior to writing the letter. We review our rates annually on the 1st April and (where our fees are to be assessed by reference to hourly rates) you will be notified in writing of any changes. Expenses (e.g. travel or overnight accommodation) will be added to your invoice at cost. We reserve the right to make a separate charge for photocopying (where a fixed fee has been provided and where the documentation is substantially more than anticipated). For travel our standard policy for rail and air travel both within the UK and overseas is economy class. Any vehicular travel will be charged in accordance with rates recommended by the Inland Revenue from time to time. Unless specifically stated within the accompanying Letter of Engagement, all expenses incurred on your behalf will be payable by you in any event. Value Added Tax is payable in addition to fees (except for non UK residents subject to certain conditions) and on most expenses. Our VAT number is 265093985. Most litigation carries with it the risk that the legal fees of another party may become payable by you, the client, in addition to your own. If this becomes relevant during your case, we will discuss it in writing with you. Payment of money to us on account of fees or expenses whilst carrying out your instructions will occasionally be required. In relation to any expenses, we are more likely than not to request that you make a cheque payable for a third party expense direct to the third party provider for us to forward on your behalf (rather than require a cheque to be made payable to us). There may be occasions, such as when payment of an insurance premium is required, where we may ask you to make an electronic payment direct to the insurer. We require these payments to be made in cheque form and any cheque shall not be cashed by us or forwarded to a third party until the fees or expense have been incurred by us and invoiced to you. If we hold such a cheque, you hereby authorise us to apply that money against any unpaid invoices. We reserve the right to retain your file (lawyers call this a "lien" over your papers) while any money is owing to us. You may end your instructions to us in writing at any time, but we can keep all your papers and documents while there is still money owed to us for fees and expenses. We may decide to stop acting for you only with good reason. We must give you reasonable notice that we will stop acting for you. If you or we decide that we should stop acting for you, you will pay our charges up until that point. These are calculated on an hourly basis plus expenses as set out in these Terms and Conditions. We shall in any event store your file of papers (in paper or electronic format) for our Data Retention Period (currently a period of at least six years). After this period, at the Principal's sole discretion, your file of papers will be destroyed without notice to you. If you require copies of documents, your file or information from your file after a period of three months from the date of completion of your matter we reserve the right to charge a reasonable sum to cover the costs of supplying this information, such sum shall not currently exceed £60.00 plus VAT and is reviewed annually on the 1st April. Some transactions do not reach a conclusion for numerous reasons. We reserve the right to charge an abortive fee which will represent a pro-rata payment of the quoted fixed fee or the hourly charges up to the point of cessation of work in accordance with the rate quoted. This shall be subject to a minimum charge of £60.00 plus VAT to cover the administrative costs of opening the file and subsequent storage commitments required. You may be aware that there are duties on professional practices similar to those on banks and financial institutions to identify their clients and to take steps to prevent money laundering. Our usual practice is to verify the identity of our clients by requesting the provision of documentary evidence as outlined on the "Confirmation of Identity" sheet below. In the case of a limited company we shall require identity and address evidence for the main directors and evidence of beneficial ownership of the company. We will occasionally need to obtain information as to where the funds you are sending us are coming from and how you acquired the money in the first place. We appreciate that some personal questions can seem intrusive but we are under a legal obligation to obtain this information from you in certain cases. To enable us to comply with anti-money laundering legislation and for general security reasons, we do not accept cash payments of any kind. Any payments to us must be by way of electronic bank transfer, or cheque. We can only receive funds if they relate to the conduct of legal work by us in connection with the matter we are dealing with on your behalf. We are not able to act as a bank by simply receiving and/or forwarding funds. You have requested us to deal with a matter relating to Restrictive Covenants. Our investigations may conclude that an insurance policy may be the most appropriate way to cover some or all of your risk of your proposed plans being in breach of covenant. We do not have any agreement with any insurance provider to receive any commissions or any benefit of any kind as a result of arranging any insurance products for or on behalf of our clients. We have no business interest in any insurer and specifically confirm that we have no such interest in any insurance provider with whom we correspond on behalf of clients. We are not contractually bound to place business with a specific insurer or insurers. We obtain (where available) details of a minimum of three available products and the client is invited to make their own selection. We do not give insurance advice on the basis of a fair analysis of a sufficiently large number of insurance contracts available on the market and we do not make a specific recommendation in accordance with professional criteria regarding which contract of insurance would be adequate to meet the client's needs. However, if (very unusually) we were to recommend a specific policy, we would provide a personalised recommendation explaining why the product recommended best meets the client's needs. This means we would ask appropriate questions, identify the client's demands and needs, match them to available products and make sure that the client is given objective and relevant information about a recommended policy in good time prior to the conclusion of the insurance policy. This is so that the client can make an informed decision about the arrangements being proposed and the protections offered. Our normal procedure is that we obtain and pass to the client information on a range of policies from different providers and the client selects the product they feel best meets their needs. We enable the client to make this selection based on our prior analysis of the client's individual needs and circumstances and the availability of potentially appropriate products, but it is the client who makes the final decision. If insurance is appropriate, we can deal with an insurance firm on your behalf to put in place such a policy for you and the cost of the policy will be discussed with you during your case. We receive no commissions of any kind for arranging such insurance policies, although we do make a charge for the administration work involved in applying for the policy and liaising with insurers where applicable. This charge for administration of the proposed policy will be advised prior to the commencement of the application but the premium is not included in this cost and will be discussed with you in writing before it is incurred. Please note that it is not possible to give a meaningful estimate of the policy premium at this stage, as they can vary dramatically, but we will normally give you policy quotes to compare as soon as we are able. We are solicitors and occasionally we have to advise on indemnity insurance products, where we believe that is a realistic and reasonable step for a client to take to protect their position. That means we act as ancillary insurance intermediary, as opposed to an insurer and we cannot and do not manufacture or create insurance products. We do not provide a personal recommendation in respect of any insurance products we discuss with you as a client. Instead, we provide details of a range of possible products from which you as our client will select your own. If, during the transaction, it becomes appropriate to discuss indemnity insurance with you, we will act only in the best interests of you, as our client, in arranging any such insurance. This firm is not authorised by the Financial Conduct Authority. However, we are included on the register maintained by the Financial Conduct Authority so that we can carry on insurance mediation activity, which is broadly the advising on, selling and administration of insurance contracts. This part of our business, including arrangements for complaints or redress if something goes wrong, is regulated by Solicitors Regulation Authority. The register can be accessed via the Financial Conduct Authority website at www.fca.org.uk/register. There may be conditions in a policy saying that certain actions of yours could make it invalid. Carefully check what these conditions are when you read through the documents we forward to you. You are under an obligation to disclose to the insurers any matter or material fact that might be considered likely to influence the insurer in accepting the application for insurance. External organisations and our professional regulators may conduct audit or quality checks on the practice but all such checks will be subject to strict confidentiality in relation to your files. Please advise us if you would prefer for your papers to be withheld from inspection for these purposes. Work on your matter will not be affected in any way if you would prefer to withhold consent. You have a right to stop us processing your data and to do this, you will need to contact Heather Palmer as the Data Protection Manager on the contact details given. If you ask us to stop using your data in this way, we cannot do any further work on your file. You have the right to cancel this contract (without giving any reason) at any time during the 14 days starting the day after you return this copy letter, signed by you. The contract will start from the day we receive the signed letter from you. To exercise the right to cancel, you must tell us (please use the contact details in the Letter of Engagement) of your decision to cancel this contract by a clear statement (e.g. a letter sent by post or email). To meet the cancellation deadline, it is sufficient for you to send your letter cancelling this contract before the cancellation period has expired. We will assume that you would like us to start your work before the end of the cancellation period. You can still tell us to stop working for you at any time, whether before or after the cancellation period, but you may have to pay our fees up to that point. If you cancel this contract, we will return to you all payments received from you, but we may make a charge to reflect the work done if you asked us to begin the work during the cancellation period. In that case you will pay us an amount which is in proportion to what has been done at your request up to the point of cancellation. We will make the reimbursement without undue delay, and not later than 14 days after the day on which we are informed about your decision to cancel this contract. We will make the reimbursement using the same means of payment as you used for the initial transaction, unless you have expressly asked otherwise; in any event, you will not incur any fees as a result of the reimbursement.